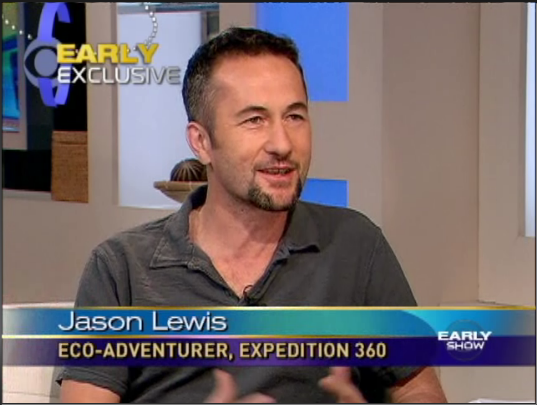 Jason Lewis is an award-winning adventurer, author, and sustainability advocate specializing in human-powered expeditions. 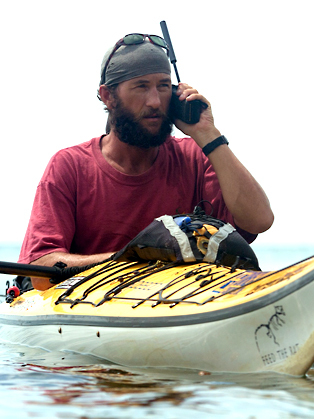 He is recognized by Guinness World Records as being the first person to circumnavigate the Earth without using motors or sails: walking, cycling, and inline skating five continents, and kayaking, swimming, rowing, and pedalling a boat across the rivers, seas, and oceans. Taking thirteen years to complete, the 46,505-mile journey was hailed “the last great first for circumnavigation” by the London Sunday Times. Adventure is about much more than just records or firsts for Jason. Visiting more than 900 schools in 37 countries to date, involving thousands of students in a variety of programmes in conjunction with UNESCO’s Associated Schools Program Network, he uses human-powered journeys to promote world citizenship, zero carbon emission travel, and awareness of individual lifestyle choices on the health of the planet. In addition, tens of thousands of dollars have been raised through his 501(c)(3) non-profit organization for humanitarian causes, in particular orphanages such as The Hope Orphanage in East Timor, and hospices for people living with HIV and AIDS (Rumah Solehah, Kuala Lumpur; Father Joe’s Mercy Centre, Bangkok). Jason is a frequent contributor to magazines (Men’s Fitness, Sports Illustrated, Outside Magazine, Geographical) and travel books (Chicken Soup for the Traveler’s Soul, HCI, 2002;Flightless, Incredible Journeys Without Leaving the Ground, Lonely Planet, 2008; The Modern Explorers, Thames & Hudson, 2013), Jason is the author of The Expedition trilogy (BillyFish Books, 2012/3): Dark Waters (winner of the 2013 Benjamin Franklin Award, Eric Hoffer Award, National Indie Excellence Award & 2012 ForeWord Reviews Book of the Year. ), The Seed Buried Deep, and To The Brink.